Imagine for a minute that you owned one pair of shoes. It doesn’t matter what type of shoes. You can choose sneakers, pumps, sandals, whatever style you prefer, but you can only choose one pair. Now, imagine that you have to wear that same pair of shoes every day for the next 5 years. You can only wear that one pair, everywhere you go. Now, I know I am describing a nightmare for some women (and men), but just hang in there while I explain. Over the next 5 years while you are wearing the same pair of shoes every single day, in rain, shine, dirt, gravel, and grass, they are going to begin to wear out. Imagine what those shoes are going to look like after 5 years of wearing them. Even if they are the highest quality pair of shoes there is, they are going to be dirty, and maybe even falling apart. There may be worn or ripped sections, the color will be faded and scratched, and there may even be parts of the shoe that are cracked or broken. Worst of all will be the cosmetic wear and tear. Those shoes will no longer provide the support to your feet that you need on a daily basis. After wearing them for 5 years, your feet, shins, and calves start to hurt. You’re even developing blisters on your feet. You desperately need a new pair of shoes to support your lifestyle. Now, I want you to imagine the same thing, but this time substitute “hearing aids” for “shoes”. Think about what would happen if you wore the same hearing aids every day for the next 5 years. Lets compare how the hearing aids hold up, compared to the shoes. Shoes are worn on the feet so they are exposed to elements on the ground (i.e dirt). 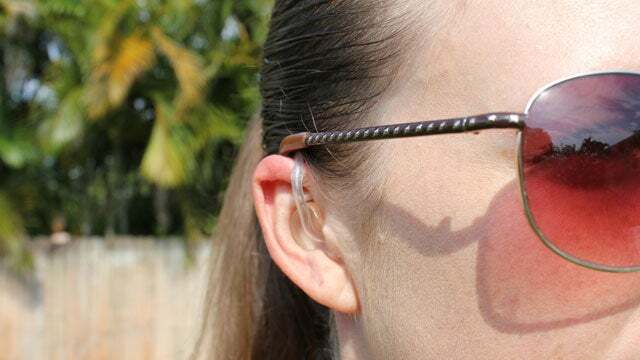 Hearing aids are worn on the ears so they are exposed to elements in the air. This can include wind, rain, dust, sunlight, and humidity. Most shoes are made of materials such as rubber, leather, and cloth. Any damage done to these materials will be visible. 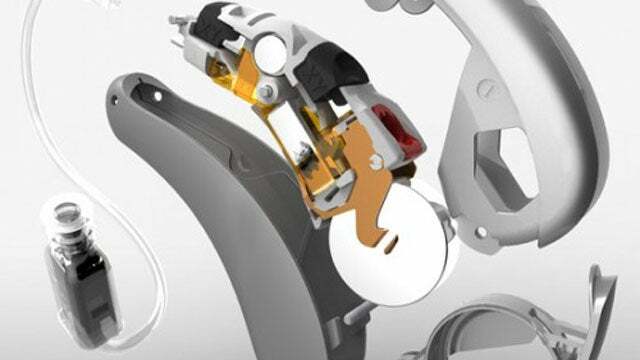 Most hearing aids are made of a plastic casing which house the internal components. While the hearing aids may look dirty, the real damage will be visible on the inside of the hearing aid that you can’t necessarily see. Shoes are made of non-electrical materials. Hearing aids have electrical components. Electrical components are overall more fragile than non-electrical components, especially when exposed to moisture, heat, cold, or other environmental changes. The purpose of shoes is to provide protection for your feet. The purpose of hearing aids is to improve your communication and make you aware of environmental safety hazards. After looking at these 4 factors, I hope you would agree that wearing the same hearing aids for 5 years is comparable to wearing the same pair of shoes for 5 years. While you may be able to “get away with it”, it is in your best interest to get a new pair. Hearing aids that have been worn for 5 years are likely going to accumulate some wear and tear. Even if the outside shell looks okay, the internal components and functions are likely not functioning well enough to meet your needs. The sound may be faded or the quality of the sound compromised. Hearing aid repairs may be needed but will likely be costly. The average lifespan of a hearing aid is about 5 years. Some people may find the need to replace their hearing aid every 3 years while a few others may use the same aid for 7 years or more. The lifespan is going to depend on a few factors. How well you clean it. How often you wear it. How much it is exposed to environmental elements, such as extreme heat, cold, humidity, etc. If you begin to notice that you are having more difficulty with your hearing aids than you did when you first got them, it might be time for a new pair. The other main reason people replace their hearing aids is because the technology improves. Science is always advancing and technology is constantly improving. Hearing aid manufacturers are no different. 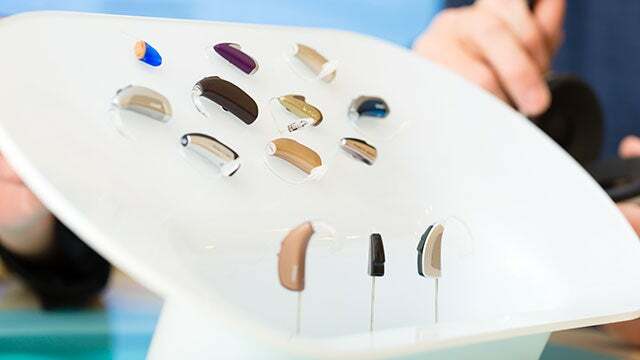 As technology continues to improve, the hearing aid engineers will find ways to incorporate that technology into the hearing aids. This means better sound quality and improved performance of the hearing aid technology available for you. Similar to that of smartphones or computers, hearing aid technology is always being updated. If you want to take advantage of the newest hearing aid technology, you will need to replace your hearing aids about every 3 years. Remember that even the highest quality hearing aids will need replacing. It doesn’t necessarily mean that you have a bad hearing aid if it needs replacing every 3-5 years. It likely just means that you get a lot of use out of your hearing aids. Good use is a good thing. Yes, hearing aids are much more expensive than shoes, but you have to look at purchasing hearing aids as an investment in a better life. Hearing aids will improve your day to day communication and therefore will improve your quality of life. As far as shoes go, the nightmare is now over. You can go back to enjoying your shoe variety! Thank you for this well written article! 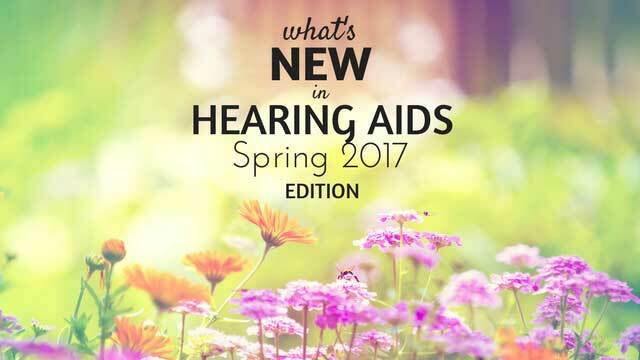 I’m just starting the process of educating myself about hearing aids.